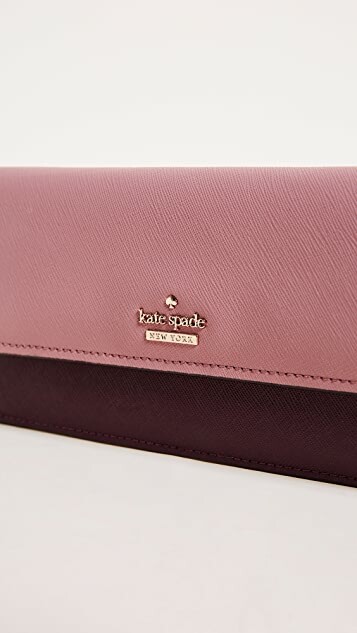 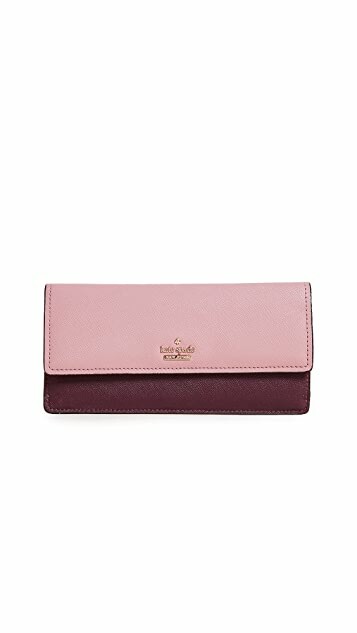 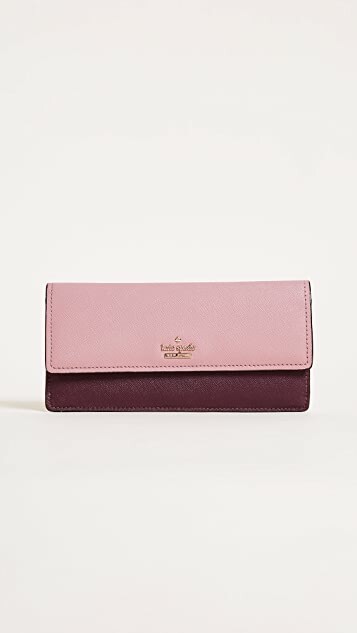 A slim Kate Spade New York wallet in colorblock saffiano leather. 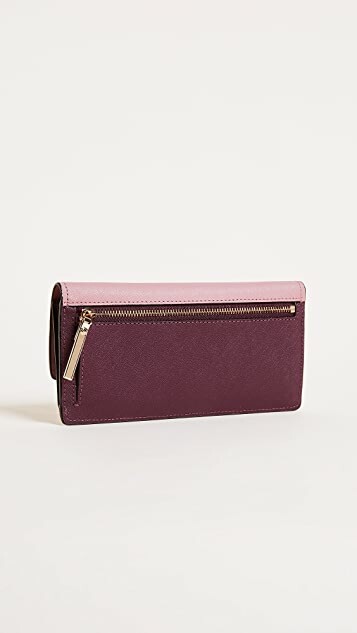 Zip pocket in back. 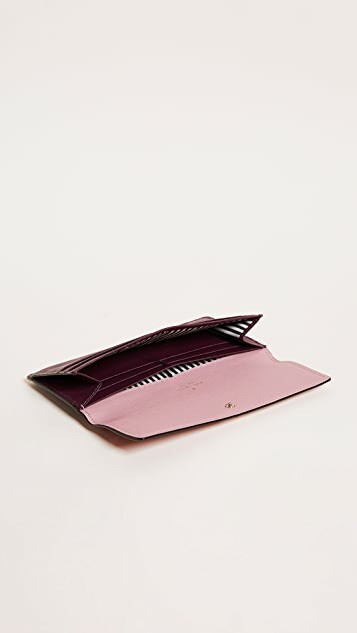 The snap-tab top flap covers 4 exterior card slots and a lined interior with 4 card slots and a cash pocket.